Home » Songs » Kirsty Songs » In These Shoes? I said “In these shoes? I said “Honey, let’s do it here. I said “Honey, let’s do it. In 2000, Bette Midler recorded by far the most successful cover of ‘Shoes’, released on the album ‘Bette’ and as a single. It is the perfect song for The (original) Divine Miss M, and she changed the lyrics slightly, to include the “Peace Corps” amongst other things. Opening with vocals, adding funky bassline and some fetching vocal phasing. Quite fun, not quite as four to the floor pumping as some of the remixes. This whole track has a drum & bass vibe going on. Uno, dos, tres, quattro! mixed by Jeremy Wheatley. German release of the CD single, the mix used in the Adidas ad featuring Anna Kournikova. Mucho phasing and tubthumping beats, goes on and on, you know the sort of thing. The “Ah, aah” mix. It doesn”t mess with the song”s narrative excessively, wanders along for nearly three minutes after the vocal stops. Released on an Italian Promo VVR5014256. Remix and additional production by Max Baffa and Maurizio Pini at BPM Studio Milano. This was a 12” which also had UR crazy remix (though with a slightly faded in opening), UR crazy remix edit and the Album version. Source: JO. This one is quite fun. 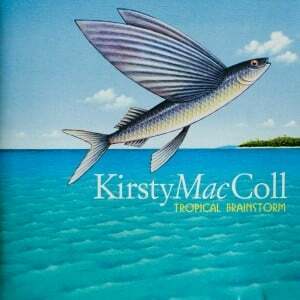 You get a full minute of “whoo whoo”s and a lot of “Gusta Caminar” before Kirsty comes in with a delicious sparsely backed vocal leading back into the bouncey dancey stuff. An extended trombone break in the sixth minute rescues it from sinking into boredom, followed by some heavily processed vocals before it meanders gently to a close at just over the eight minute mark with some cut up phrases from the song. Released on an Italian Promo VVR5014256. Source: JO. The Moba Cut opens with Joe de Jesus” horn line and Kirsty”s vocal and the “whoo whoo”s and Gustas start up at around 50 seconds. From then on it”s pretty much the same story as the extended version. The first version that I heard of In These Shoes was different. Instead of the Spanish chorus it was Kirsty singing an English chorus. Something to the extent of “We can dance until morning, we can do this here - but I won”t leave in these shoes.” Source: SG. Can anyone help to identify this version?